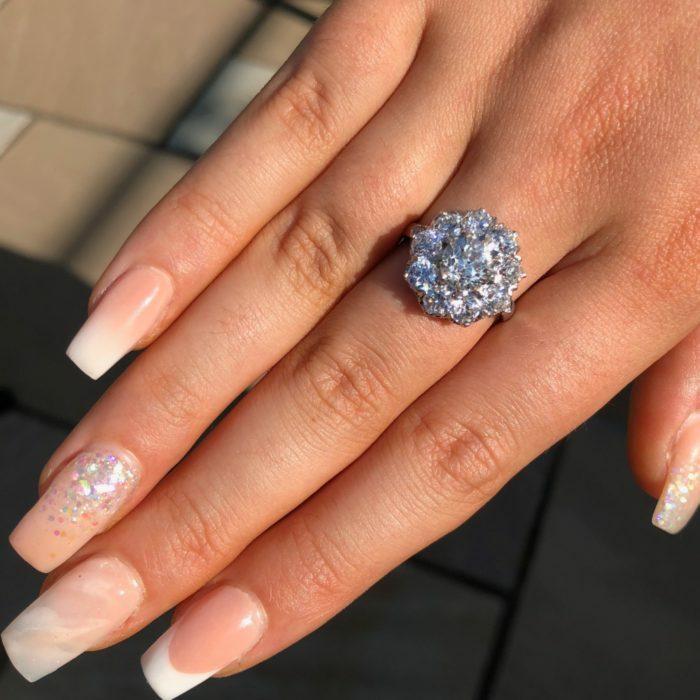 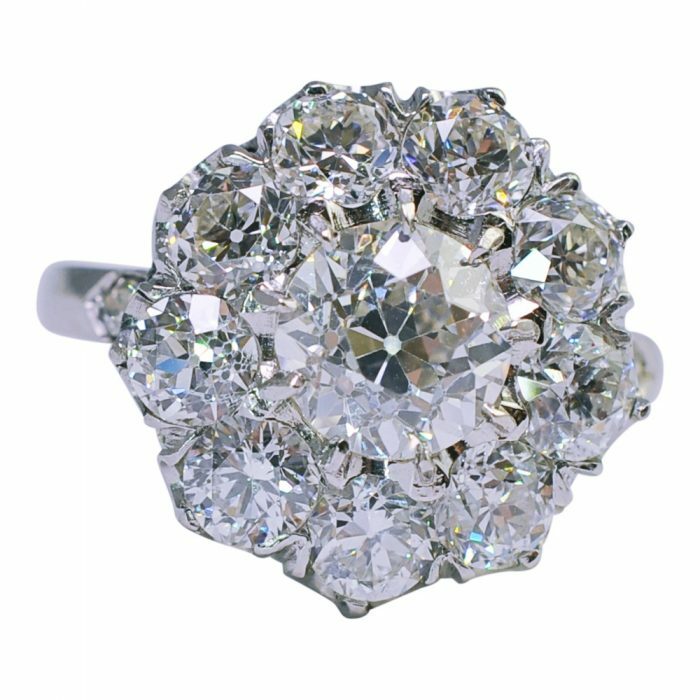 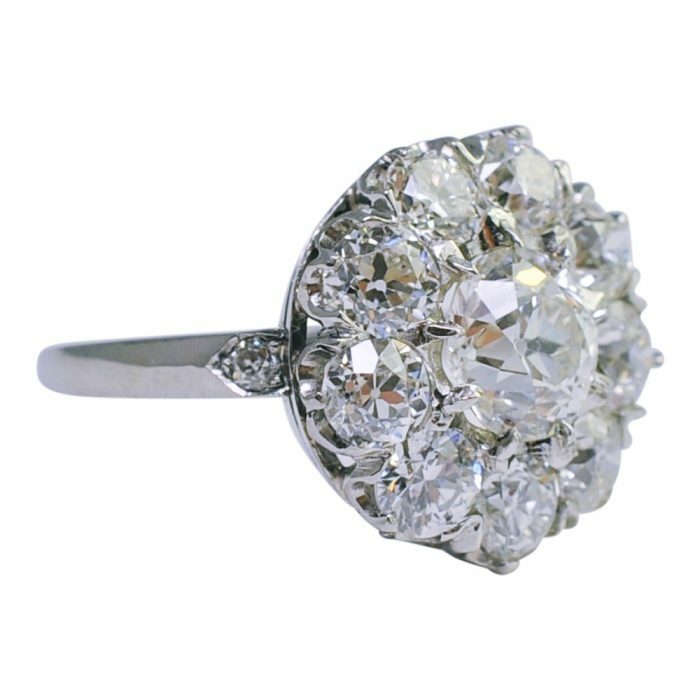 Gorgeous, big juicy diamond cluster ring set in platinum; the central Old European Cut diamond weighs 1.40ct and is surrounded by a further 2.40ct of sparkling Old European Cut diamonds. 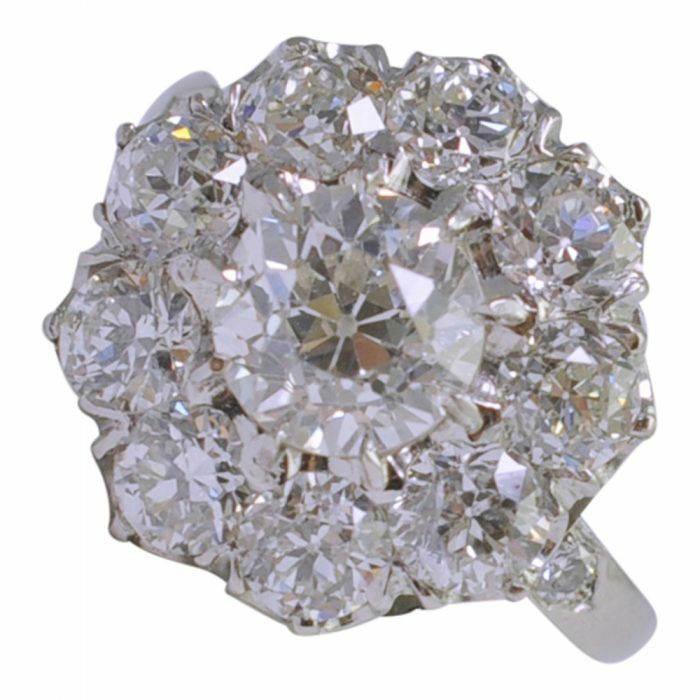 Total diamond weight 3.80ct. All the diamonds are bright with good clarity and brilliance. 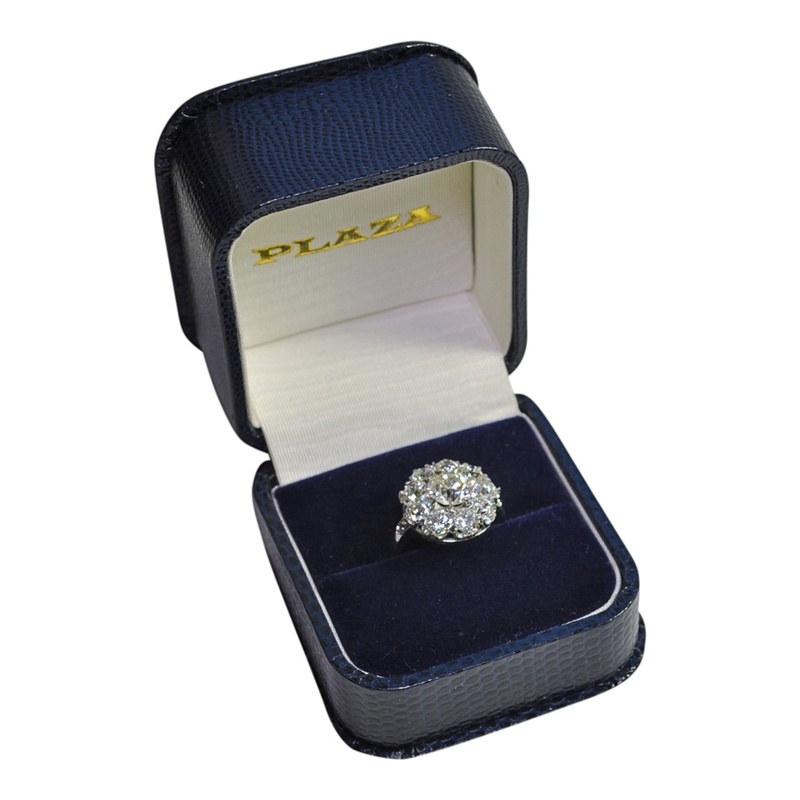 Dimensions 1.6cm x 1.cm; weight 5.4gms. 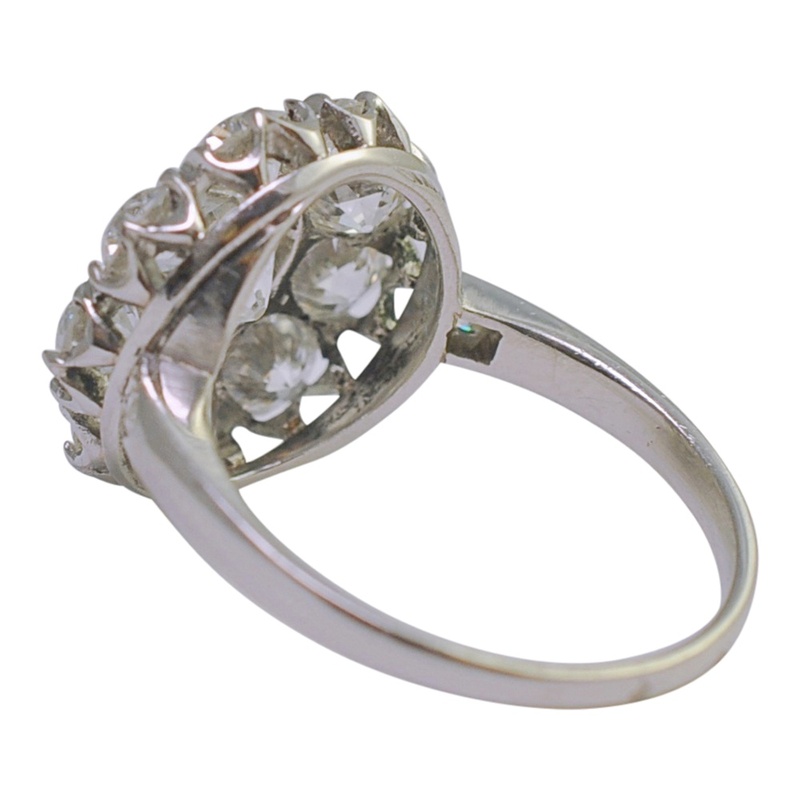 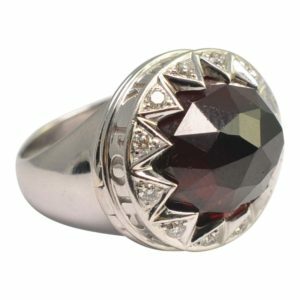 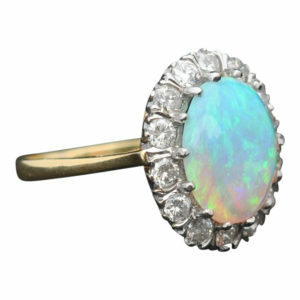 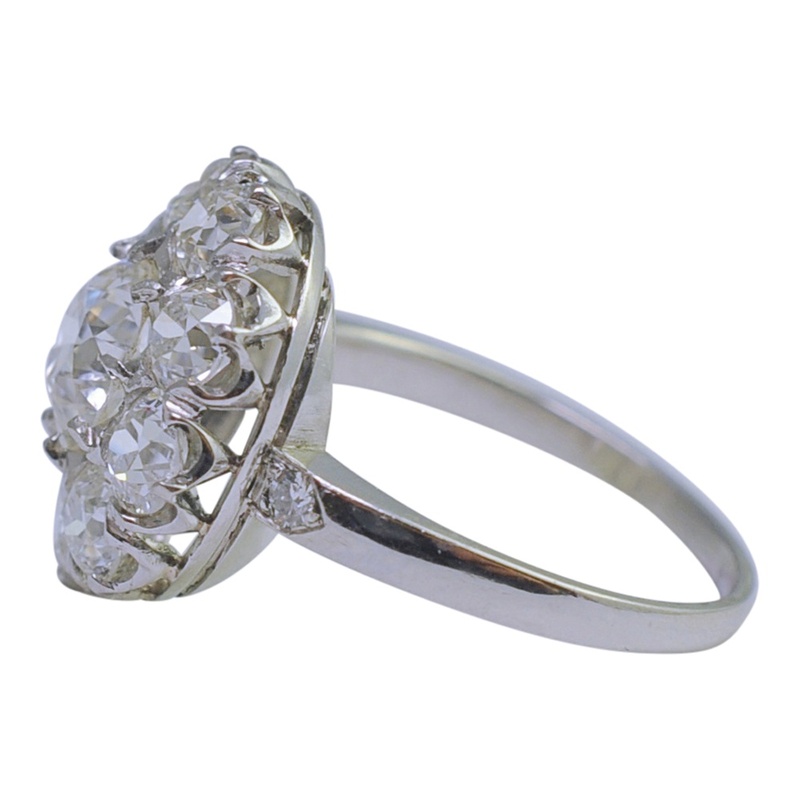 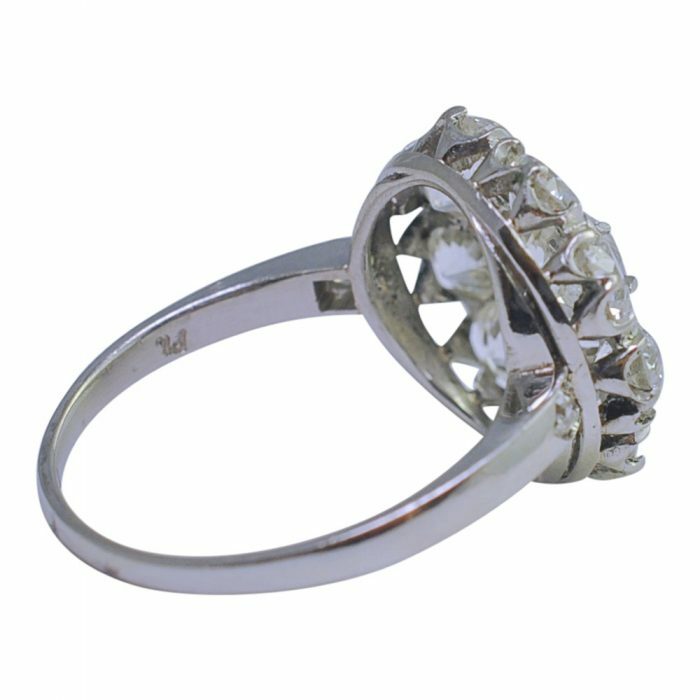 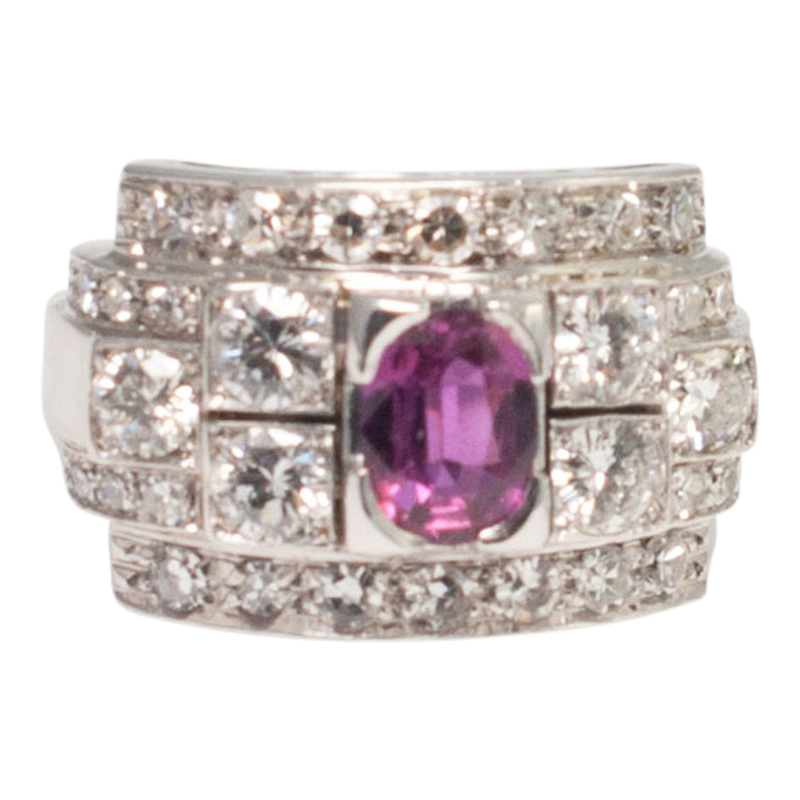 The ring sits low on the finger, is comfortable to wear and is in excellent condition. Stamped Pt; finger size N1/2 (UK), 7 (US), 55 (French), 15 (Italian) which we ran re-size for you if required. 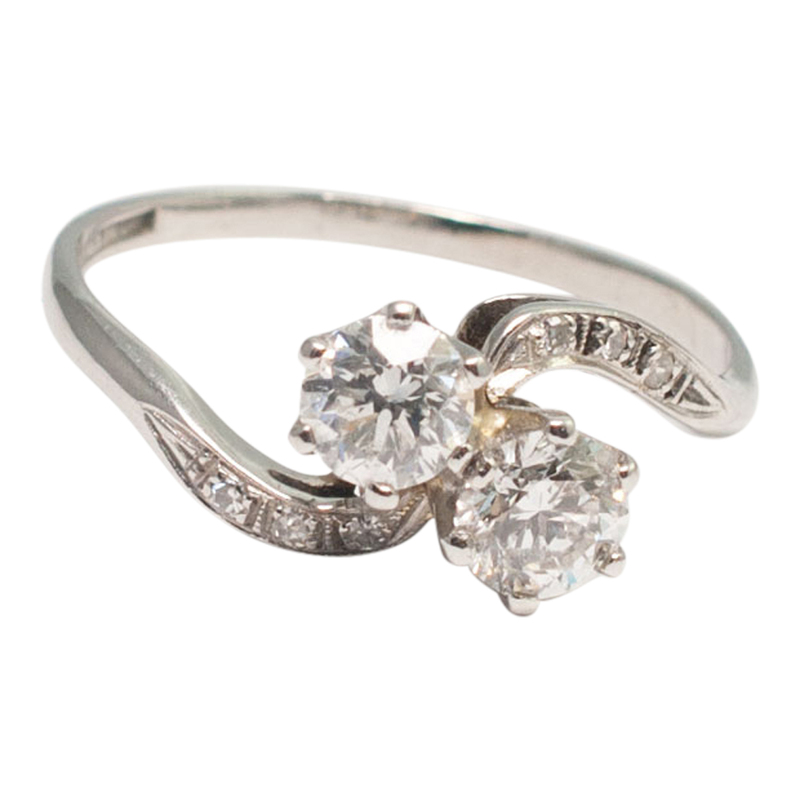 C.1930s.